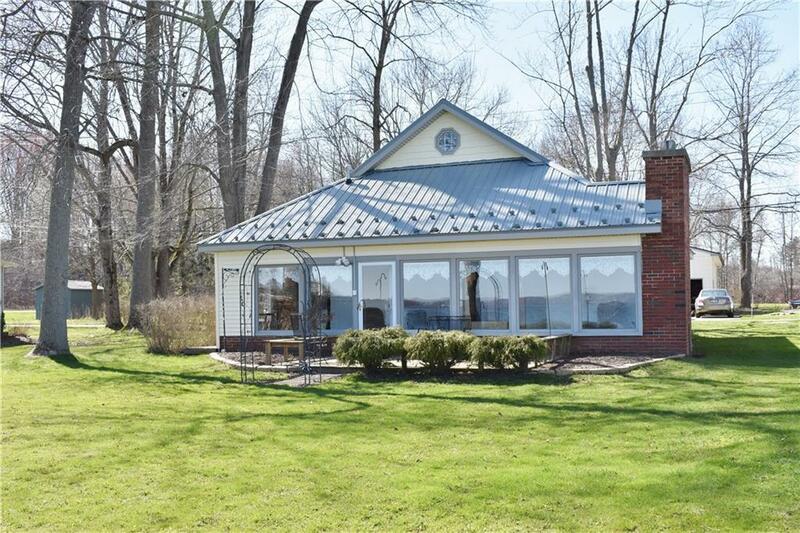 Beautifully updated and meticulously maintained year round Chautauqua Lake front Home. Situated on 3 lots providing ample space for entertaining and enjoying those summer nights by the camp fire. Take in the sunrises from your lakeside deck or the afternoon shade on the stamped patio. The lake view is abundant from living, dining, den(with Gas fireplace) and kitchen. The 2nd floor is unfinished but is designed to be made into a beautiful master suite. Need a place to store all your toys? This home comes with a 25x50 garage, perfect for your motor home, boat and cars. The second floor provides you with tons of storage. Ride your bicycle to the historic Stow Ferry and enjoy Bemus Point, close to shopping, the Chautauqua Institution and the convenience of Route 86. Directions To Property: Rt. 394 To Hadley Bay Rd. Left Onto Ross St. Look For Signs.